The next universal law is the Law of Polarity, which states that everything is dual and everything has poles. What seems to be the opposite of your desire is actually the same nature of your desire but varies only in degree. This simply means that there are no complete opposites but only two extremes of the same thing. Example, loving your ex is not the opposite of hating your ex. At first glance, it looks like they are opposites of each other but, actually, they are of the same nature, just a difference in degree. The degree of your feelings all depends on the kind of thoughts that you focus on at any given time. This means that, at any given time, you can either feel hate, love, or anything in-between for your ex. This means that things can easily change. It also follows that if you are not with your ex right now, you can be with them tomorrow or next week. In other words, no situation is permanent, especially when you focus on the pole that has what you want. It’s all about the kind of thoughts that you choose to focus on. 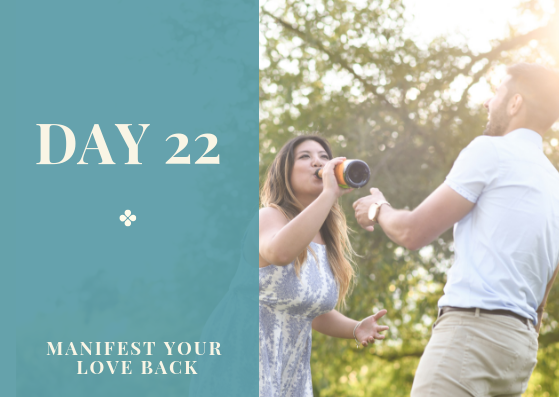 If you are feeling negative about not being with your ex right now, that means you’re focusing on “the absence of your ex” or the pole that you don’t want. To feel better, focus on the opposite pole of what you don’t want; that is, “the presence of your ex”. This pole is what you want because it makes you feel positive and happy. The more you focus on the pole that makes you feel positive and happy, the faster you can change your situation. You can use the Law of Mentalism and the Law of Vibration to transcend the Law of Polarity. The Law of Mentalism states that what you think manifest in your reality. 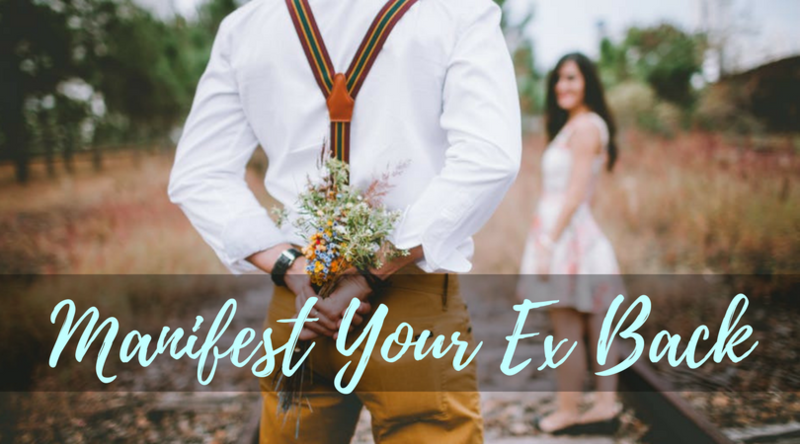 So, if you are thinking negative as your ex has already moved on with someone else, you can focus on the opposite pole of that by thinking positively about your ex wanting to be with you and you only. If you are feeling negative, you can focus on the opposite pole by feeling positive. This is basically applying the Law of Vibration. Whether you are in the extreme negative, extreme positive, or anywhere in-between the pole with regard to your desire, remember that you have the power to change the situation by focusing on the polar opposite of what you don’t want. You can do this by changing your thoughts and feelings about your desire. At any given time, if you feel bad about something, identify what you feel bad about and then train your mind to focus on the polar opposite of what makes you feel bad. This takes practice, and as you keep practicing, you will cultivate enormous willpower to direct your thoughts very easily.